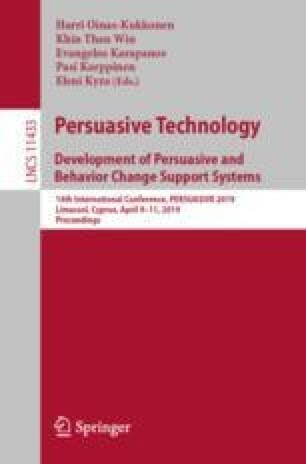 Persuasive technology (PT) has been shown to be effective at motivating people to accomplish their behaviour goals in different areas, especially health. It can support students to improve their learning by increasing their motivation to engage deeply with their educational resources. Research on the use of persuasive systems to improve students’ motivation to learn is still scarce. Thus, in this research, we examined whether three socially-oriented influence strategies (upward social comparison, social learning, and competition), implemented in a persuasive system, can motivate students to engage more in learning activities. Research has shown that the strategies can motivate people for attitude- or behaviour-change when employed in PT design. The strategies were operationalized in a persuasive system as three versions of visualization using students’ assessment grades. The persuasive system was applied in a real university setting to determine whether it can encourage students to improve their learning activities in an introductory biology class. Three groups of students used the persuasive system versions, each group used one version. Among the groups, some students received a version of the persuasive system, tailored to their personal preference to the corresponding influence strategy. The results of this research analysis show that tailoring the persuasive system versions to students’ strategy preference increases its effectiveness. Moreover, the results reveal that the three social influence strategies can be employed in educational software to influence students to achieve a positive goal in their learning. This work has been supported by the NSERC Discovery Grant of the third author.